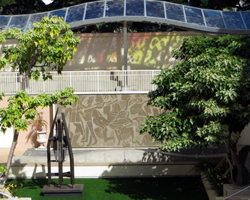 The Hawaii State Art Museum: Discover Hawaii Culture through Art. 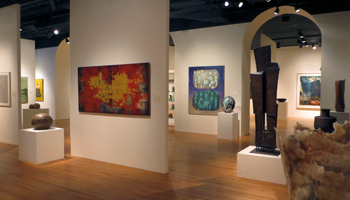 Hawaii State Art Museum: Find Hawaii Culture in Art! It’s possible that you might not be impressed with our little Hawaii State Art Museum if you routinely go to world famous museums like the Metropolitan Museum of Art in New York, the Louvre in Paris or the National Gallery of Art in Washington DC. It’s hardly a fair comparison. However, if you have been to those other places, that suggests to me that you like seeing art wherever you go; and this collection of work by our talented local artists might be a highlight of your Hawaii vacation. Out of all the Honolulu art museums, it’s definitely my personal favorite. Yes, I like the fact that admission is always free – for local residents and for visitors. 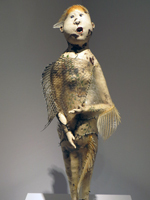 But what I really enjoy most about the Hawaii State Art Museum is its collection. 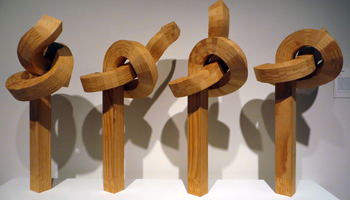 There are four galleries including the Sculpture Garden and Sculpture Lobby; and each of these galleries was thoughtfully designed to elegantly display an impressive assortment of beautiful artwork in a very warm and inviting manner. I really appreciate the open floor plan – as opposed to a bunch of small, dimly-lit rooms (like I’ve encountered at so many other museums and galleries). And, frankly, I’m more of a traditionalist when it comes to art. Thus, I like art that looks like art – not just any manner of creative expression. This Hawaii museum also has a relatively large café. I didn’t eat there, so I can’t tell you much about it – other than the fact that it’s bigger than I expected. And since we’re talking about exceeding expectations, I have to mention the gift shop. I always tend to have mixed feelings about gift shops at museums. Why? I don’t exactly know. Maybe it’s because I feel like art-themed souvenirs cheapens the art. But I didn’t get that feeling at this gift shop. Again, I don’t know why; but some of the things they were selling really caught my eye and appeared to be high-quality merchandise. 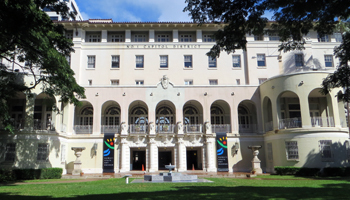 If you’re out scenic Hawaii sightseeing around Honolulu, you may want to make a point of stopping by the Hawaii State Art Museum. It’s located directly across Richards Street from the Hawaii State Capitol, and it occupies a building that is a piece of Hawaii history in its own right. This Spanish mission style building was initially constructed in 1872 as the original Hawaiian Hotel. Then in 1928, it was rebuilt as what came to be called the Armed Services YMCA. 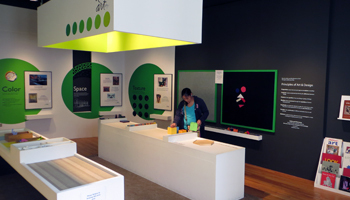 The museum first opened in 2002. So if you’re interested in Hawaiian history and architecture, this would be a great place to start a quick tour of some of the most historically significant buildings in Honolulu. Within a walking distance of just one to four blocks, you can see the Hawaii State Capitol, Iolani Palace, the King Kamehameha statue, Kawaiahao Church, the Mission Houses Museum, and more. Enjoy a live musical performance as you stroll through the exhibits or relax on the grounds. Create your own artwork under the instructive eye of professional artists. It’s family fun for adults or children. 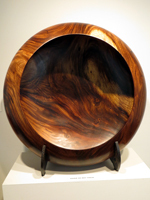 Enjoy an Art Lunch learning about art and artists in Hawaii. You’re encouraged to bring a sack lunch.